Discover Hoi An Ancient Town on a half-day tour of the UNESCO World Heritage site. See highlights of the former trading port, famous for its wooden houses, family chapels, assembly halls and silk shops. 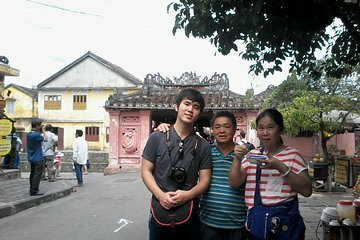 Visit the Japanese Covered Bridge and the Hoi An Museum of History & Culture in the Old Quarter. You’ll pass by rice fields and local villages before a cruise on the Thu Bon River. Different and a lovely 1/2 day tour. My only grudge was lunch. TERRIBLE, but otherwise great.